21st Century Teaching and Learning! The American poet Adelaide Crapsey invented the modern form of poetry known as American Cinquain, pronounced (sin-cane), inspired by Japanese haiku and tanka. It creates a word picture and mood. Cinquains do not rhyme. 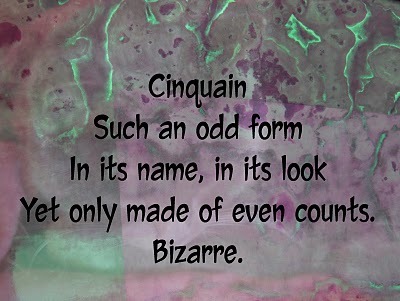 A cinquain is a five line poem. It has very strict rules about the number of syllables in each line. 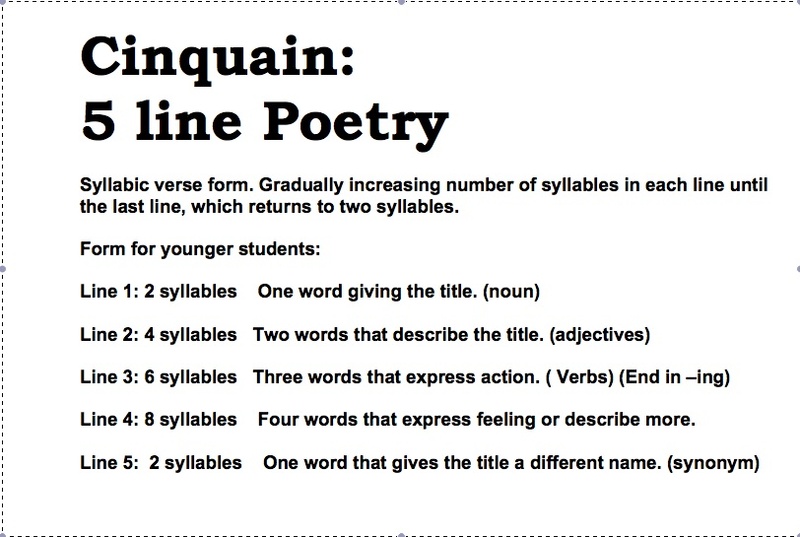 Try this site if you want help counting the syllables for use in your poem. Now it’s your turn to practice. Look at an artwork, or image, and write what you see, feel, and know about it. You may choose from one of the following artworks or images about the Middle Ages, or find one of your own. Compose a cinquain, and post it in the comments section below for your homework. Include your name, class, and table number in your post. Table points awarded for everyone who posts, with bonus points awarded to tables where everyone in the group posts. Be prepared to read your poem out loud in your next English class. BE your poem. Be like the castle, king, knight, or peasant that you write about. Does your poem capture the mood and paint a mental picture in our minds? Structure/Organization – Does my poem follow the rules? Mood/Emotion – Does my poem create a mood and evoke an emotion? Does it paint a picture in the mind?